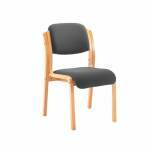 Jemini Loxley Visitors Chairs KF03424 Pack of 1 Jemini Visitor Chair with recommended usage time of 8 hours. 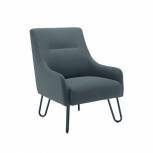 Features armrests and cantilever base. Maximum sitter weight 18 stone. Dimensions: seat W515 x D525mm, back W515 x H600mm, seat height 490mm. Colour: Blue. Non returnable. 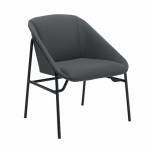 Jemini Visitor Cantilever Leg Chair Charcoal KF03425 Pack of 1 Jemini Visitor Chair with recommended usage time of 8 hours. 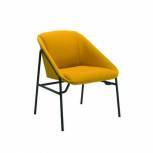 Features armrests and cantilever base. Maximum sitter weight 18 stone. 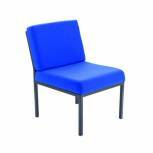 Dimensions: seat W515 x D525mm, back W515 x H600mm, seat height 490mm. Colour: Charcoal. Non returnable. 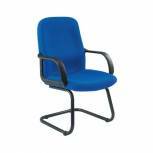 JeminiLoxley Managers ChairsKF03428 Pack of 1 Recommended usage time of 8 hours. 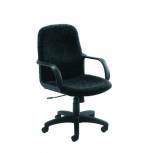 Features armrest, gas lift height adjustment and five star base. Maximum sitter weight 18 stone. 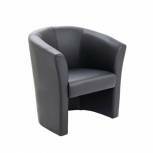 Dimensions: seat W515 x D525mm, back W515 x H600mm, seat height 455 - 540mm. Colour: Blue. Non returnable. 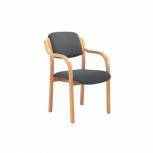 Jemini Loxley Managers Chairs KF03429 Pack of 1 Recommended usage time of 8 hours. 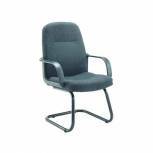 Features armrest, gas lift height adjustment and five star base. Maximum sitter weight 18 stone. Dimensions: seat W515 x D525mm, back W515 x H600mm, seat height 455 - 540mm. Colour: Black. Non returnable. 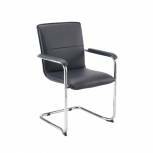 Jemini Rhone Visitors Chairs KF03432 Pack of 1 Jemini Leather Look Visitor Chair with Arms and Cantilever Frame. Maximum sitter weight 18 stone. Recommended usage time 8 hours. 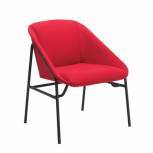 Dimensions: seat W515 x D525mm, back W515 x H600mm, seat height 490mm. Non returnable. 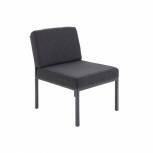 Jemini Charcoal Reception Chair KF04010 Pack of 1 Jemini Reception Chair, traditionally designed reception seating offering comfort and value. Seat height 430mm, width 530mm. Colour - Charcoal. Non returnable. 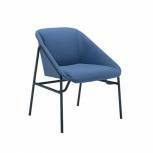 Jemini Blue Reception Chair KF04011 Pack of 1 Jemini Reception Chair, traditionally designed reception seating offering comfort and value. Seat height 430mm, width 530mm. Colour - Blue. Non returnable. 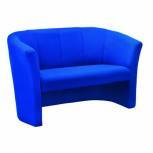 Avior Blue 2 Seat Fabric Tub Sofa KF03524 Pack of 1 Arista Tub Sofa with a recommended usage time of 5 hours and fully upholstered seat and back. Colour - Blue. Non returnable. 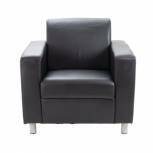 Avior Black Vinyl Tub Chair KF03527 Pack of 1 Arista Tub Armchair with a recommended usage time of 8 hours and fully upholstered seat and back. Colour - Black Vinyl. Non returnable. 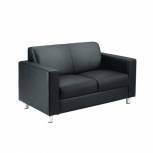 Avior Black 2 Seat Vinyl Tub Sofa KF03528 Pack of 1 Arista Tub Sofa with a recommended usage time of 5 hours and fully upholstered seat and back. Colour - Black Vinyl. Non returnable. 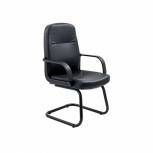 Avior Black Leather Faced Executive Reception Arm Chair KF03529 Pack of 1 Avior Leather Reception Armchair with recommended maximum usage time of 5 hours. Non returnable. 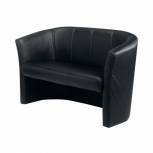 Avior Black Leather Faced Executive Reception Sofa KF03530 Pack of 1 Avior Leather Two Seater Sofa with recommended maximum usage time of 5 hours. Non returnable.